How often do you get rewarded from a community service project with a THANK YOU from over 300 students? 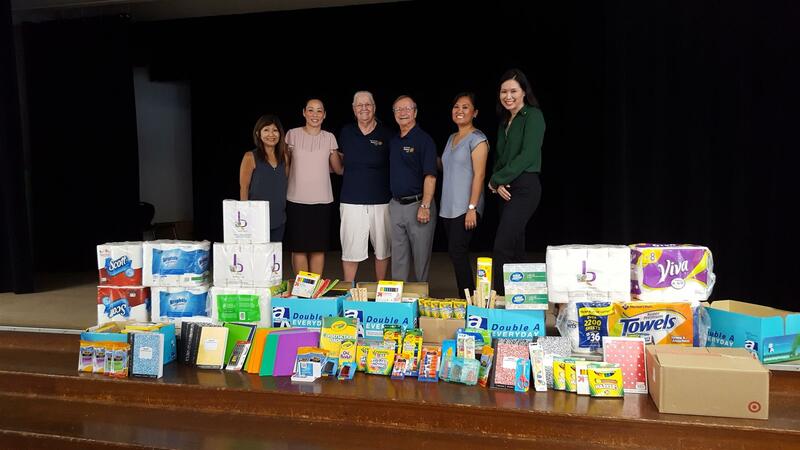 On Wednesday, September 26th, 5 Rotarians presented cases of back to school supplies that were collected at our Back to School Supply drive in July to all of the students at Palolo Elementary School. During a school assembly created just for our presentation, the students cheered when they saw the supplies and shouted "Thank you" in unison. It was a rewarding day as we were able to witness firsthand how impactful our work is in the community. Thank you to Lauren Okinishi, Tanny Waters, Lucky Cara, Tony Cara, and Ashli Sasano for coming out to volunteer on a work day!